Editor’s Note: This article is part two of Thrillist Seattle's year-end look at the best of our city’s local food and drink scene in 2016. In addition to our annual Best New Restaurants award, this year, we’re spotlighting the men and women behind the dishes we love to tell you to eat. Our chef of the year has developed a culinary following within three Capitol Hill bars, serving some of the cities' best fried chicken and Mexican sandwiches and affordable price points. You can also check out our picks for the rest of America’s 2016 Best Chefs, and then catch up on Best New Restaurants. If you haven't publicly declared your love for chef Monica Dimas' chicken sandwiches at Sunset Fried Chicken, you probably haven't tried them. Ditto her Mexican sandwiches at Tortas Condesa and south-of-the-border-inspired bar food at Neon Taco -- all three of which are nestled inside bars on Capitol Hill. Her mini-restaurants offer inexpensive food that hits the sweet spot in the center of on-trend, affordable, and delicious. And Seattleites can't get enough. This year she grew Neon Taco and Tortas Condesa while opening Sunset in both Seattle and Portland. She graced the cover of Seattle Magazine, was named a Rising Star by StarChefs, and cooked sold-out fundraisers at On the Boards, FareStart, and Smoke Farm. And the Yakima native is just getting started. She's got a few more projects coming up in 2017, including her first stand-alone restaurant. The food projects I do are accessible on so many levels without compromising quality. Why do you think Seattle, right now, is such a great place for -- and welcomed so wholeheartedly -- your style of mini-restaurant? 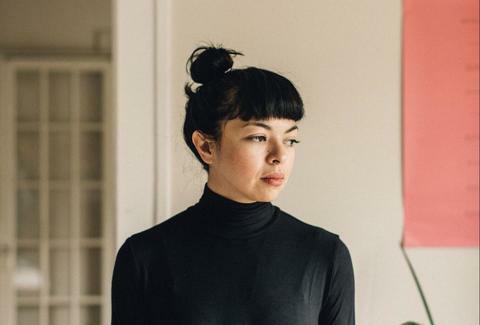 Monica Dimas: Having moved to Seattle when I was 21, being a native Northwesterner, and getting really ingrained and connected to the city has helped. This place is home and I feel like I know it well. The food projects I do are accessible on so many levels without compromising quality. We use the same ingredients you would find at a higher-caliber restaurant while still being able to be affordable. Times are shaky and we provide quality comfort food at a reasonable price point in spaces that are also welcoming. How do you think the restaurant scene in Seattle stands up to the rest of the country? Dimas: We are in a unique time of rapid growth, both on the restaurant side and our population, so it will be interesting to see what Seattle can commit to liking (restaurant-wise) and letting go of. There are other cities that have more loyal/frequent diners, so I definitely see that as being a huge difference. My spots have great diner loyalty and so maybe we just need to create more places that Seattle people feel comfortable returning to. Dimas: At home I eat really simple food -- I don't want to have to create a huge dinner when I've already dealt with food on so many levels all day long. I'm happy with a perfectly roasted chicken, a seasonal vegetable gratin, and a salad with local greens and radishes. Otherwise eating at Neon Taco since some of those dishes are childhood favorites -- Mexican food is what I miss the most when I'm traveling. Hey Seattle diners -- get dressed for dinner! Your flip-flops can go to hell. What is your favorite go-to restaurant besides your own? Dimas: I eat at my restaurants three times a week, sometimes on the same day, so eating at new places can be a challenge. I'm also a total creature of habit and prefer to stay close to home/work/Capitol Hill. That being said... Stateside. I think the food is always on point, tasty, and the space is beautiful (the roasted chicken & ginger rice are perfect staples). Ba Bar for pho because Seattle weather (and hangovers) need excellent hot soup. Chungee's for a post-work midnight fried chicken snack and whiskey (but only on Wednesday or Friday). Le Caviste for wine and little snacks because it's a perfect Seattle gem and we are lucky to have Caviste -- I start with a glass of Champagne, order a petit garçon or tartare, and end with a glass of red. Juicebox for a midday snack or green juice. I'm partial to the Turmeric Green with extra turmeric and no coconut water. Single shot for dessert or post-work drink -- they have the dreamiest chocolate cremaux. And Cafe Presse for a breakfast or lunch meeting. Or if I'm catching up on my Sunday NYT and it's a Tuesday. What do you wish we had, either a food or restaurant style, that Seattle is still missing? Dimas: I'm writing this from Paris and loving how accessible good food is here -- and I'm not a romantic! Europe in general has a better understanding on how to eat and drink -- even wine pours are more sensible here. Places here feel like an extension of a living room or home. It's a fundamental ideal that I strive for and one that I hope is obvious in what I do. Creating an inviting and comfortable neighborhood restaurant is something we have yet to truly tap into (that aren't bars). I'm so happy my career supports me having fallen in love with dining out, seeing new restaurants, and supporting my regular ones. But we need more options that are solid, won't break the bank, and where people feel comfortable coming back to. A new Seattle resident or someone passing through should feel equally at home dining at a restaurant as a regular. [We need] more mid-level restaurants at better price points. For example: Perfect risotto shouldn't be an exception, it should be the norm and not the price of an entree. Preciously decorated restaurants serving equally precious food can do it without a pretentious attitude -- I want to support them but I can't give space to bad and unwelcoming service. At the end of the day, it's just food. As for Seattle diners -- get dressed for dinner! Your flip-flops can go to hell. Naomi Tomky is Seattle's most enthusiastic eater of everything. Follow her on Twitter @Gastrognome and Instagram @the_gastrognome to see what else she's found.